Before the Clyde was deepened in the late eighteenth century, large trading vessels could not sail up it as far as the city itself, and Port Glasgow was created in the 1660s as a deep water port, facilitating trade with the New World. Both the port and its village grew substantially, and in 1775 absorbed the neighbouring fishing village of Newark. By this stage, however, trade was shifting gradually eastwards towards Glasgow as the Clyde was deepened. Fortunately Port Glasgow diversified its economy, with shipbuilding commencing about this time. Shipbuilding, along with sail- and rope-making, became the key source of employment in the town, and these industries supported the area well into the twentieth century. 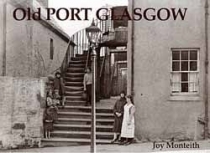 Having expanded dramatically during its boom years, Port Glasgow in the twentieth century found itself with an unenviable amount of cramped and inadequate housing.